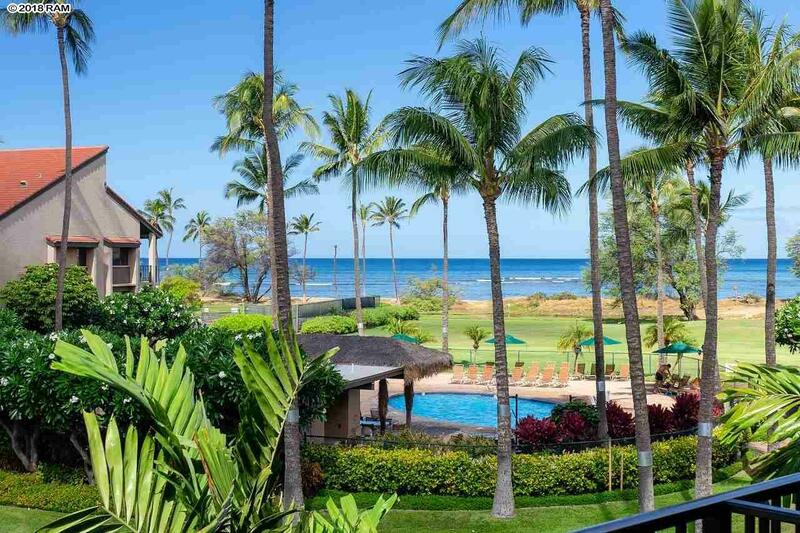 One of a kind, hand crafted luxurious condo with a big ocean view at a lovely beachfront complex on one of Mauis longest sandy beaches. 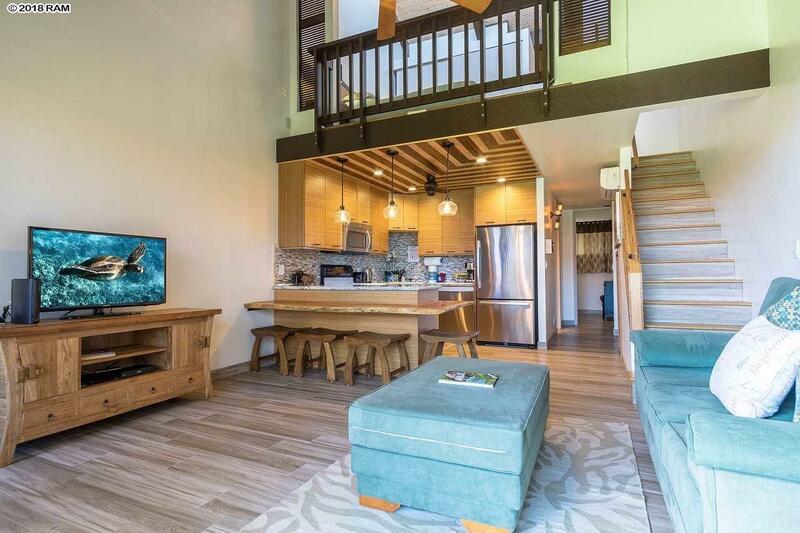 Relax on the top floor of this sweet boutique resort. 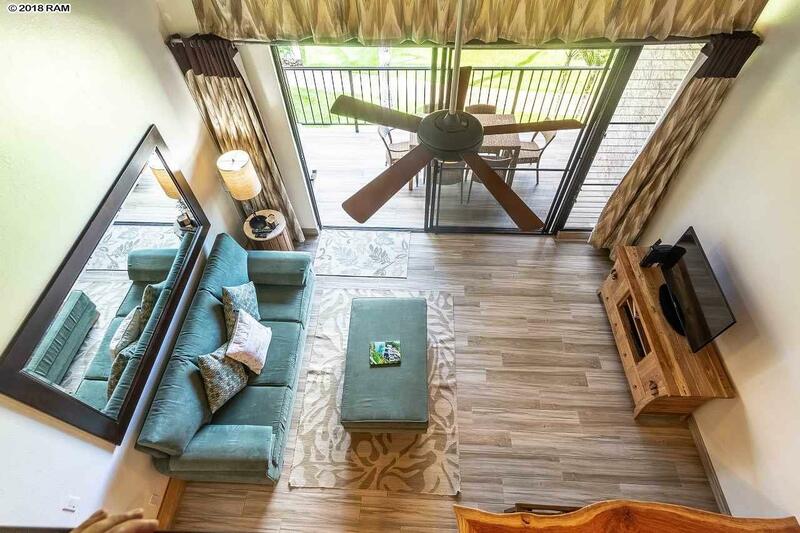 Take in the views from your own private lanai. Your own quiet oasis is a million miles from every care in the world. Luana Kai B306 features craftsmanship you will prize for generations. The unit is renovated from the floors up through the second floor. The beautiful wood plank floors are really durable long lasting porcelain tile. The tile runs throughout the open, airy downstairs. The island bar is unique. The table portion is split wood which reflects the beautiful island style. And the ceiling is a one of a kind work with beautiful contrasting wood inlay. The kitchen features modern stainless steel appliances with quality granite counters and decorator Italian glass backsplash area. The master suite is a romantic lofted room with a custom on-suite designer bathroom. The guest suite is a large roomy space. A comfortable space where your guests can relax. The guest bath is customized to match the rest of the condo and just as beautiful as the master bath upstairs. This beachfront masterpiece is all about beauty and comfort. The lanai overlooks the grounds at Luana Kai. 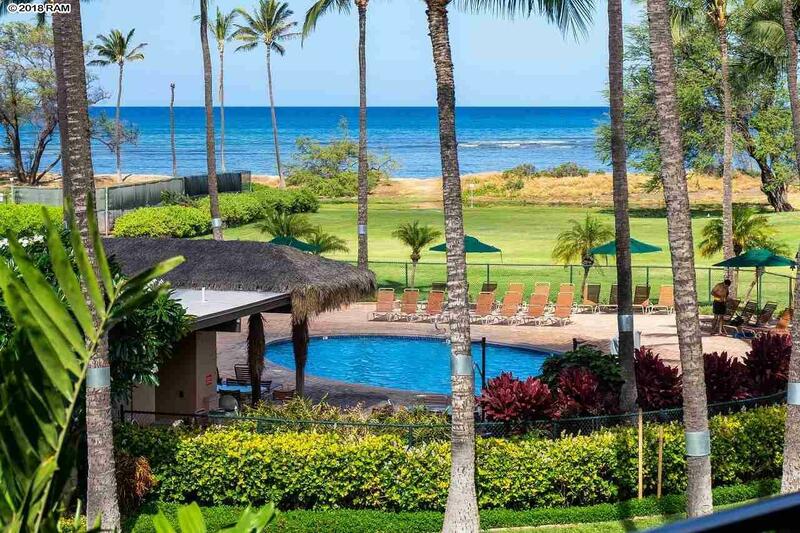 You overlook the green interior courtyard across the pool and out to the ocean. There is a green parklike setting between the complex and the sandy beach. The beach stretches on to be one of the nicest walking beaches around. Contact your favorite Realtor for details and to arrange a showing.